Home Blog Log Lines Sightings: School’s Out! School’s finally out for most of the country (except New England, thanks to an overactive blizzard season – sorry, kids). 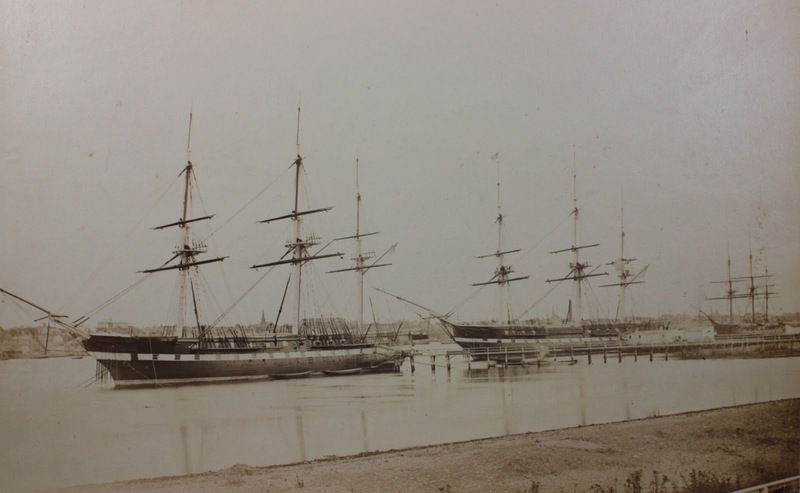 To commemorate the occasion, we’d thought we’d give you a parting glimpse of Constitution in her own classroom days – as a school ship for the US Naval Academy in the 1860s. Constitution has worn many hats in her lifetime – warship, receiving ship, goodwill ambassador, and for a time, even a floating museum. 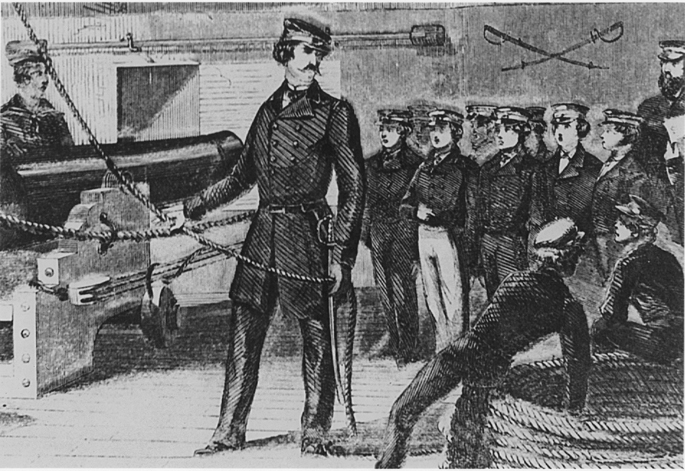 But in the late 1850s, with the Naval Academy running out of space, and with the surge of steam vessels phasing out sailing ships, USS Constitution (and many other square-rigged sailing vessels) were converted into floating classrooms, housing, and training areas for sailors to practice sail handling and other practical naval skills. 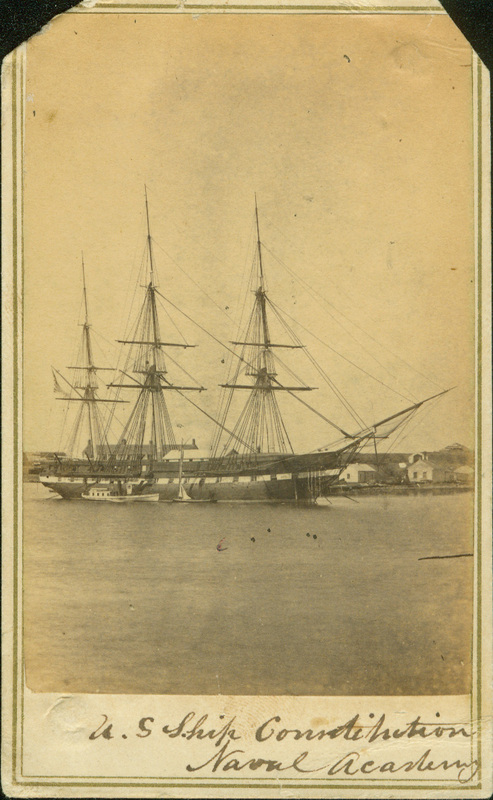 Constitution remained at the Academy until 1871, when she was brought to the Philadelphia Navy Yard for another restoration. 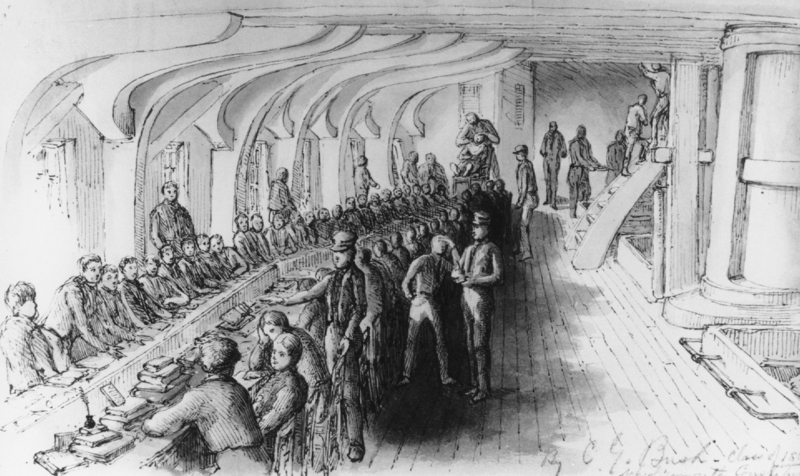 and even shaving at long tables on Constitution‘s gun deck. 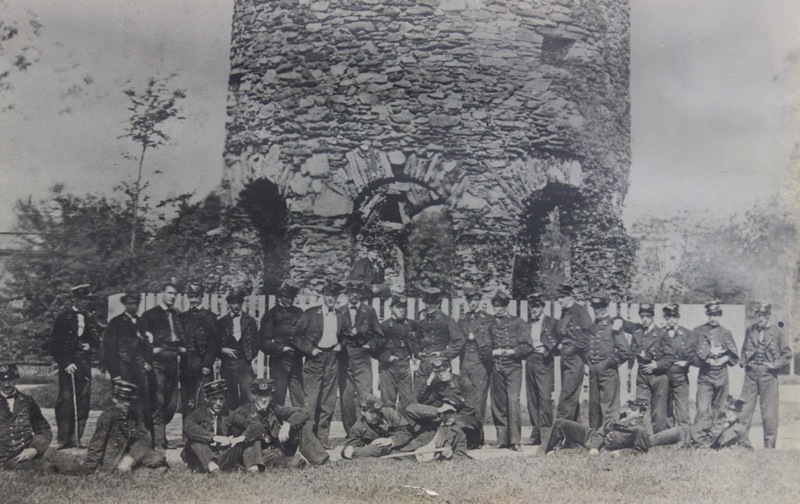 USSCM photo collection [123-3005]. Original at the Nimitz Library, US Naval Academy, Annapolis.